Project a clean caring image to your employees and customers. Have employees sanitise as often as they should by providing a product that is safe, quick, convenient and easy to use. When people work, learn or play in close quarters and share equipment when one person gets ill, everyone does. Germs spread very easily by hand contact and can stay alive for hours on doorknobs and benches. Stop the spread in its tracks by introducing a hand hygiene system. 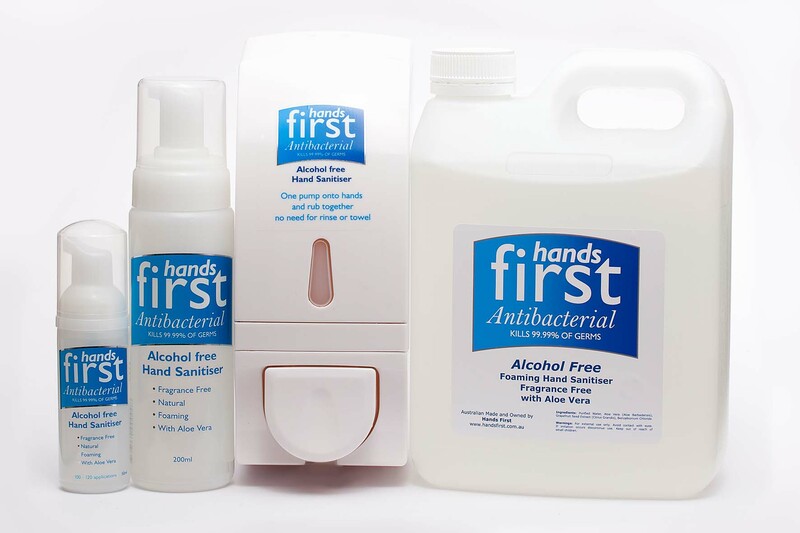 Hands First makes good hand hygiene safe, quick and easy.